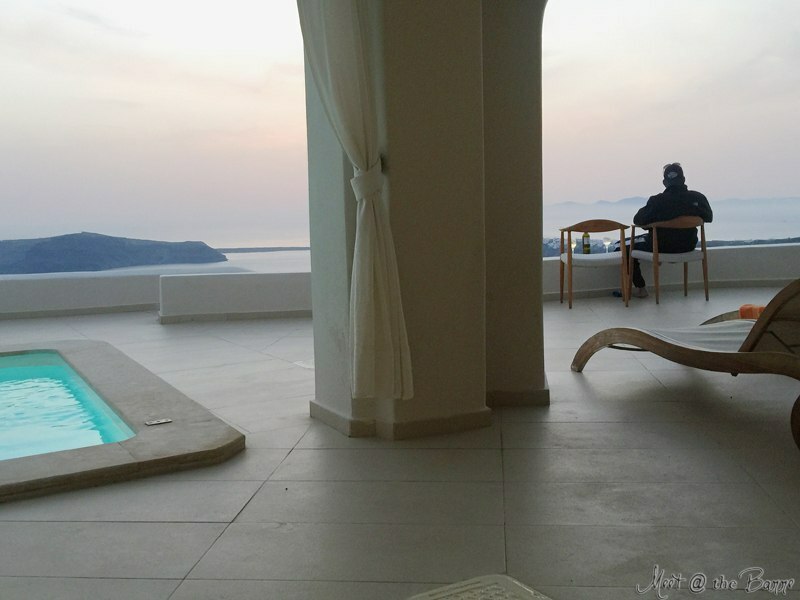 When I was researching for our honeymoon, I spent hours pouring over Pinterest and google searches trying plan and maximize our time spent over there. 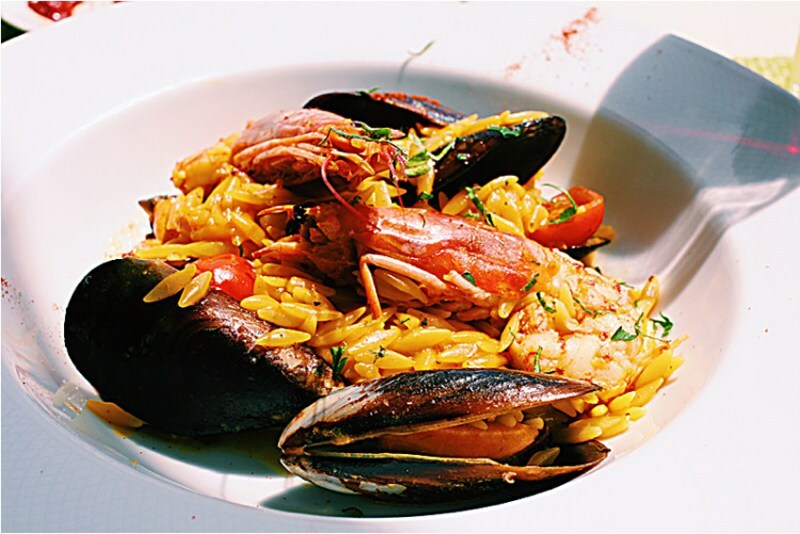 When I came back, I wanted to put together a complete travel guide for my readers so they would be the best equipped for their travels. When I was researching for our honeymoon, I spent hours pouring over Pinterest and google searches trying plan and maximize our time spent over there. When I came back, I wanted to put together a complete travel guide for my readers so they would be the best equipped for their travels. So let's get into it. 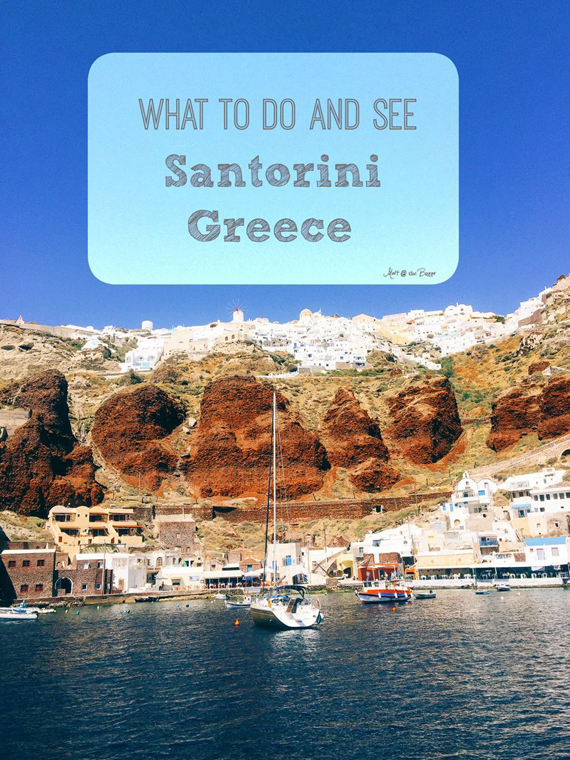 First let's do a quick overview of what Santorini looks like. Santorini is a big C surrounding the caldera which is the "active" volcano area. More on that here. Where we stayed was in the middle of the island it was a town called Imerovigli. I HIGHLY recommend staying there. 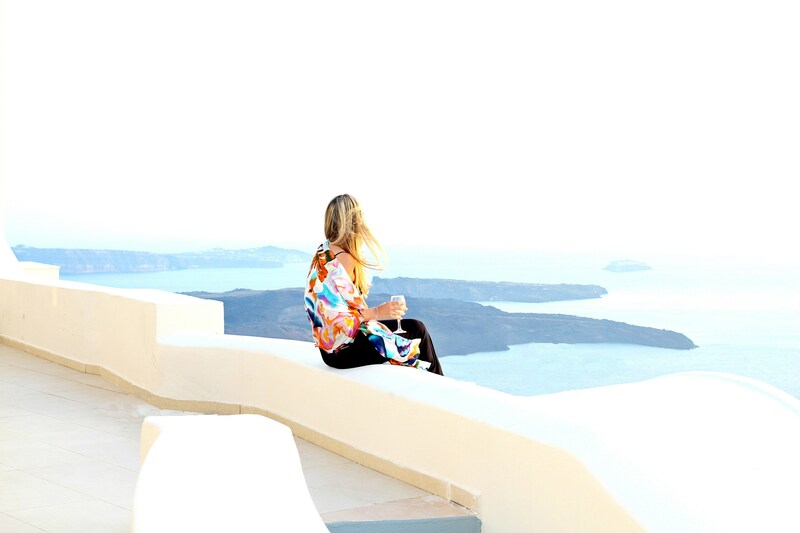 Everyone talks about Oia this and Oia that (pronounced Eee-yah). 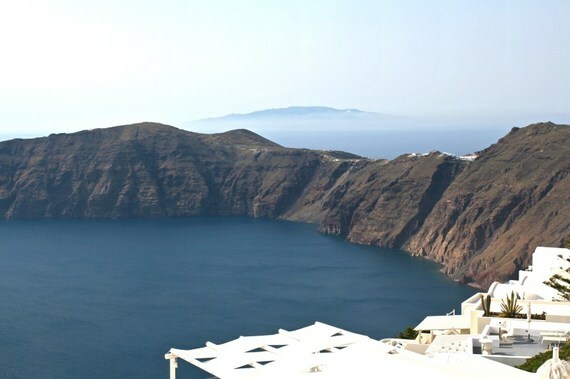 Well Oia is on the point and the farthest away from everything. 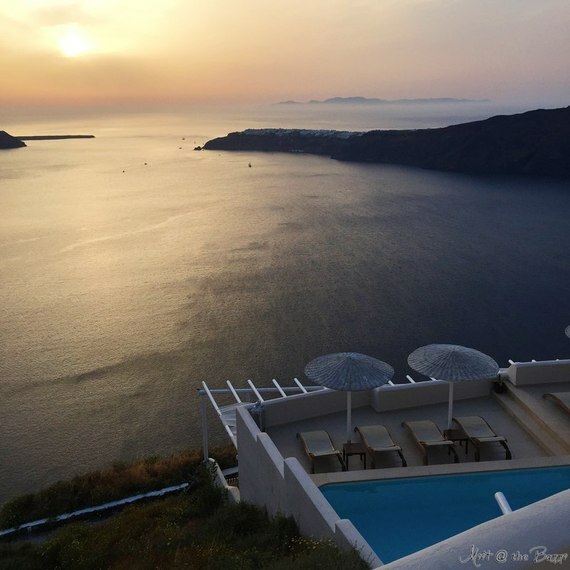 Also, I personally think the sunsets were the prettiest in Imerovigli because you are straight onto them as opposed to Oia, which is on the point. 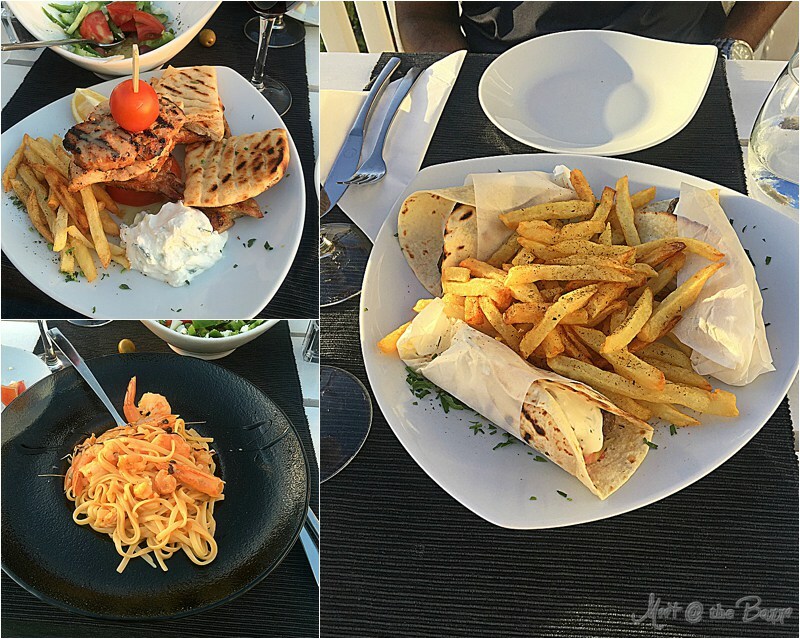 Plus in Imerovigli, there are fantastic restaurants walking distance. We actually kept on running into couples that were taking taxis over to eat in our town from Oia. 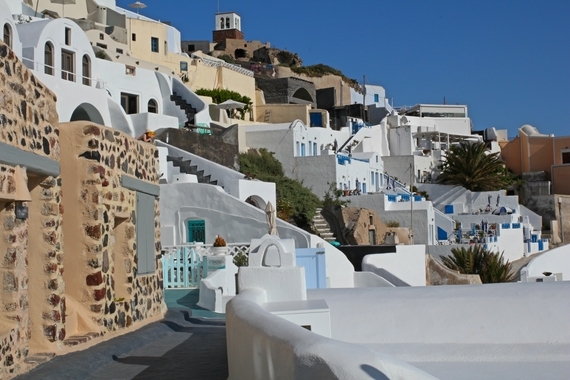 Also, in Imerovigli you are a 25 minute Caldera walk to Fira. Fira is the capital and a little more touristy. That is where all the shopping is and it feels more like a port city if that makes sense. 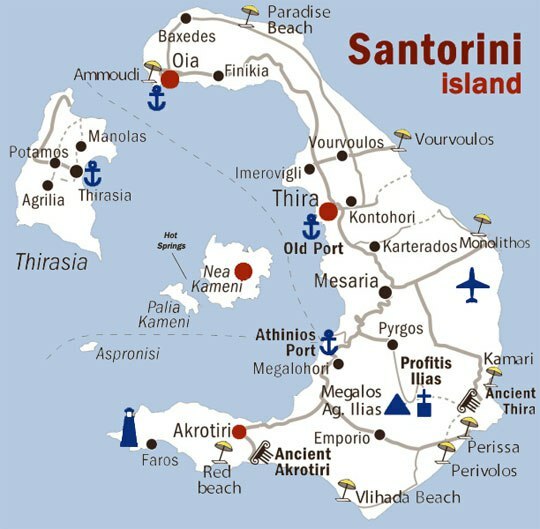 That is where all the donkeys are if you have heard about Santorini. We never even encountered them but we will discuss further. 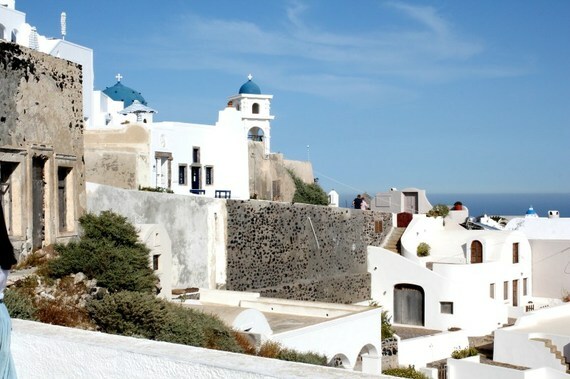 So if you stay in Oia, you are pretty isolated over there. Don't get me wrong it's beautiful but you are just on the farthest point from anything else. Now let's chat about how to get there. You can take the "high speed" ferry or fly. I put high speed in quotes because it wasn't. Our ferry from Athens was 5 hours. Granted maybe there are faster ones but that is the one that was bought for us. If you can fly from Athens I would highly recommend it. Aegan airlines flies you in between all the islands and will take you directly to Santorini, Greece. Great resource here on the travel aspect. I was so infatuated with doors there. 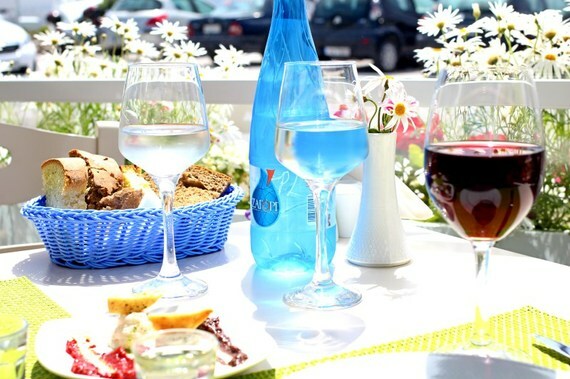 There are so many tours in Santorini that you can arrange ahead of time or you hotel can help you. I was a little leery thinking about the hotel kickback but I did research and they were pretty on point. We did a Catamaran sailing trip. They brought you to all the famous beaches, the red, white and black beaches. You can jump off and snorkel, then they take you to the hot springs and finally end with lunch on the boat. We did the the morning one but there also sunset cruises as well. It was pricey but really worth it! Here are tons of other options as well. Once again your hotel can arrange this for you. They will call them, have them delivered and arrange the pickup. Super easy. The scooters were around 20 euros a day and the four wheelers 40. She said that does vary with the peak of the Season (July/August) in Santorini Greece. We didn't rent a car just because of how centrally located we were but once again if you need to, your hotel will take care of it for you. 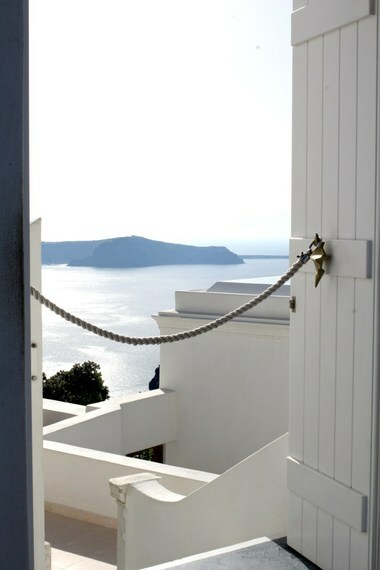 Like this one from our hotel in Imerovigli. 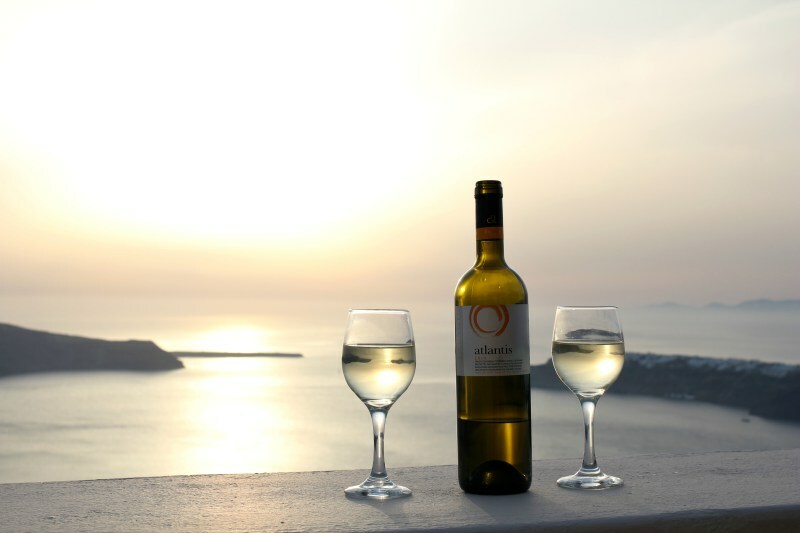 For my husband and I just to sit still and relax......I don't think it has ever happened until we went to Santorini. We actually just spent one whole day relaxing on our spacious sun deck, bathing in the sun, reading magazines and books. Then, occasionally glancing up and going....."can you believe we are really here??? Look at this view?!?!?" I am partial to Imerovigli as mentioned above. If you want complete peace and serenity, stay there. 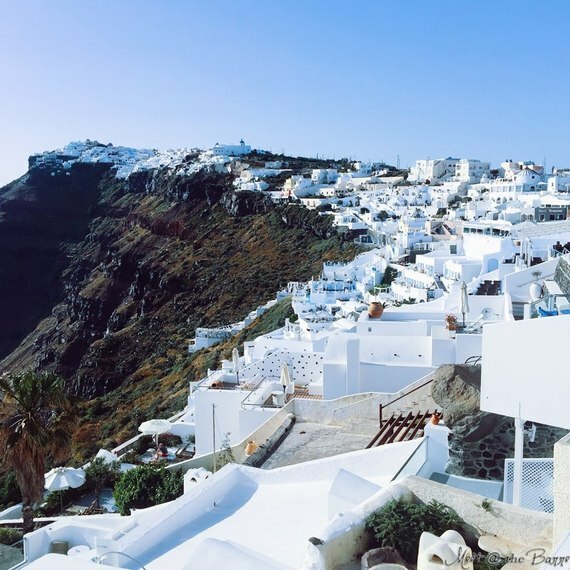 If you need a little more hustle, then stay in Fira or Oia. We stayed at the Gold Suites and it was truly a luxury, official website here. The staff there were incredible. Anything we needed including aspirin at midnight and a one in a million charger adapter for Mark's ancient computer plug (but that is a whole different story....just be smart and bring a power outlet). If we go back to Santorini, we are staying there. No questions asked. 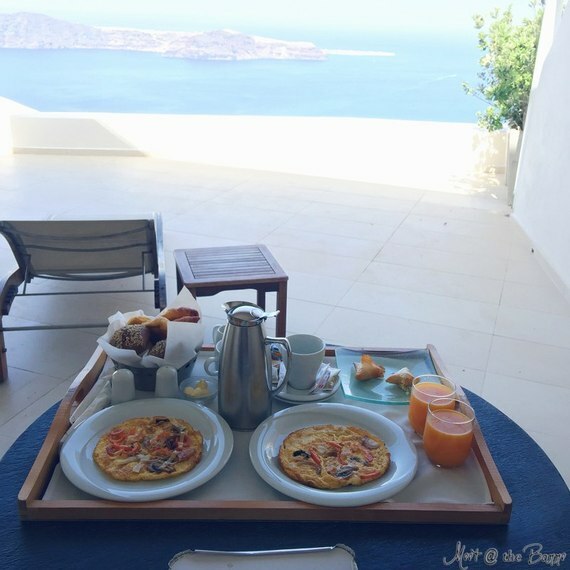 Plus, a lot of the places include breakfast but made to order anything you wanted with this view???? Yeah, you see why it was a complete dream. Definitey bring sneakers. You will need them if you are hiking along the caldera. 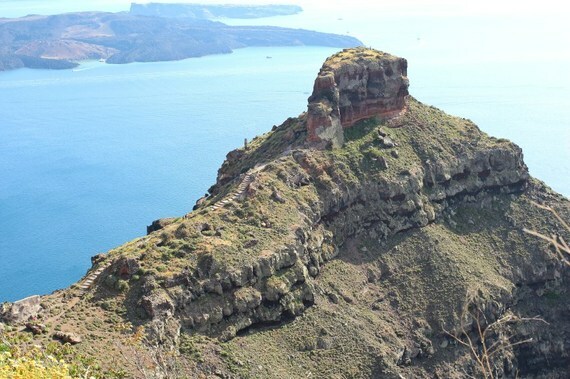 Santorini feels like it is uphills both ways.....I'm not joking. Just bring the sneakers and don't worry about what you look like. I also brought a sturdy pair of sandals. Bathing suits, cover ups and something you can get sweaty in walking. When we were there since you are so high up it did get chilly at night, so a light jacket or big scarf. If you go in the heat of the Summer you will most likely be fine. Also, bring a hat to shield the sun because that sun is strong. Everything. Our hotel had a hefty breakfast every morning. Insiders tip you may laugh but pack ziplock bags with you. Those chocolate croissants at breakfast??? Yeah you know when they taste great? At 2 in the afternoon after a 45 minute hike. Or make a little sandwich from your croissant and breakfast meats. Trust me, it is the perfect snack to hold you over to dinner. 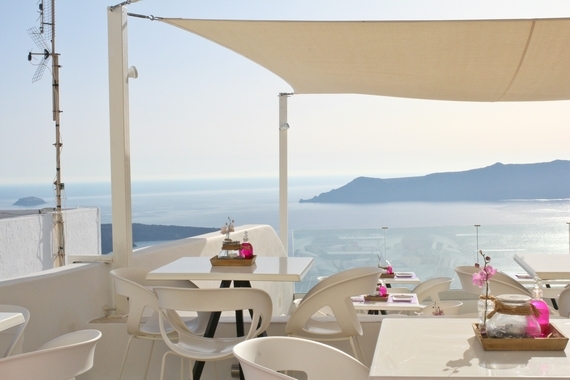 This is where we eat Avocado and Anogi in Imerovigli (multiple times it was just so good). 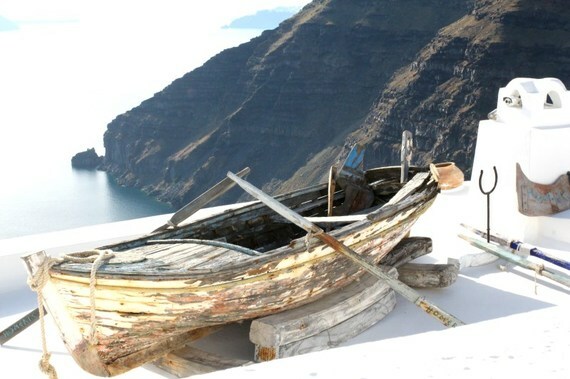 Then Argo in Fira. Highly recommend. I made a reservation for a table with a sunset view by email and they responded the next day. Selene is world renowned. I am disappointed we didn't get there since the reviews are quite impressive. It was pretty far from our suite and we just ran out of time. Also, everyone talks about the stray animals there. All the ones we saw did have collars on and the restaurants "adopt" them and feed them at night. I wouldn't go petting and loving up on them by any means but they weren't vicious strays like some forums lead me to believe before I left.